This video explains a bit about the Pinzgauer’s central tube chassis which keeps the vehicle torsionally stiff and its center of gravity low. 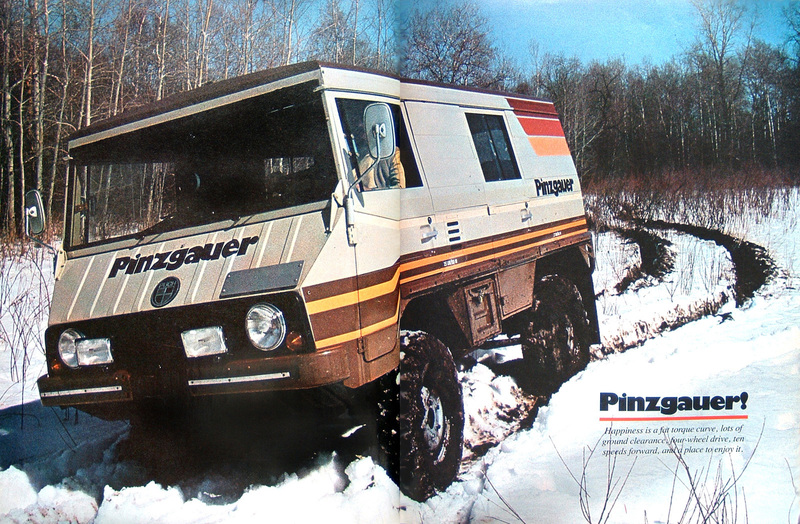 It dates from between 2000 and 2005 when the rights to the Pinzgauer were sold to Automotive Technik Ltd. in the UK. The guy doing the explaining has a Scottish accent, which is awesome. 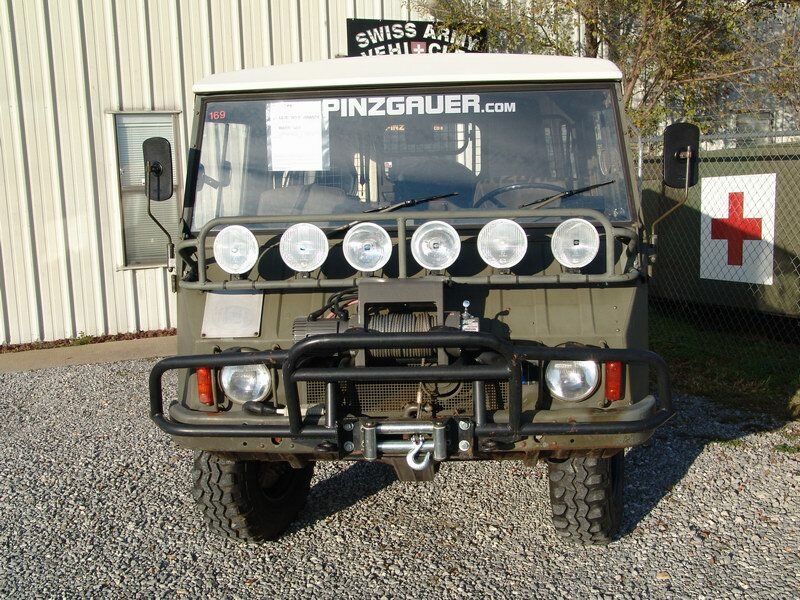 Here’s a nice looking 1974 Pinzgauer 710 for sale. These extraordinarily capable trucks were built in the 1970s for the Swiss military by the Austrian manufacturer Steyr-Puch (who, coincidentally, also build the Geländewagen for Mercedes-Benz). 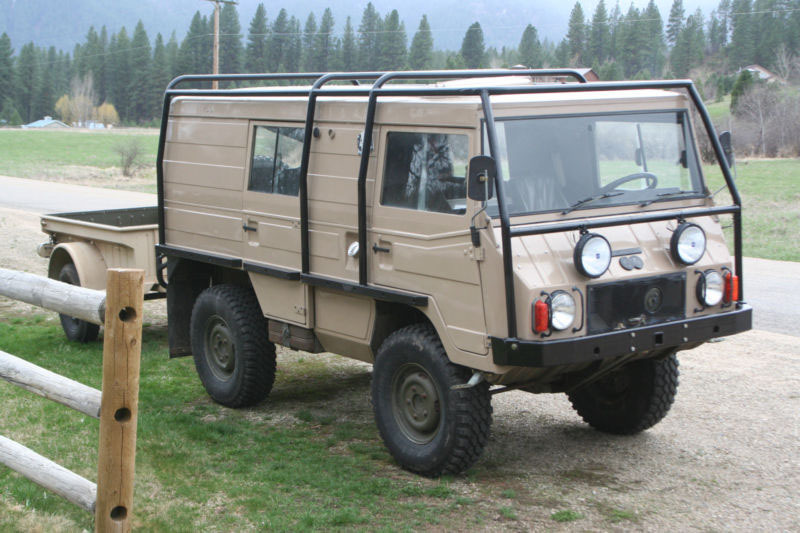 Though they’re equipped with an air-cooled, 2.5-liter 4-cylinder producing only 90 hp, they’re rated to carry over a ton (2200 lbs) of cargo and can cruise a 60–65 mph on the highway, which is faster than a Unimog of the same era. Both the 4-wheel-drive system and the locking front and rear differentials can be engaged on the fly. The truck’s portal axles offer 16″ of ground clearance and yet it can still fit into a normal garage. 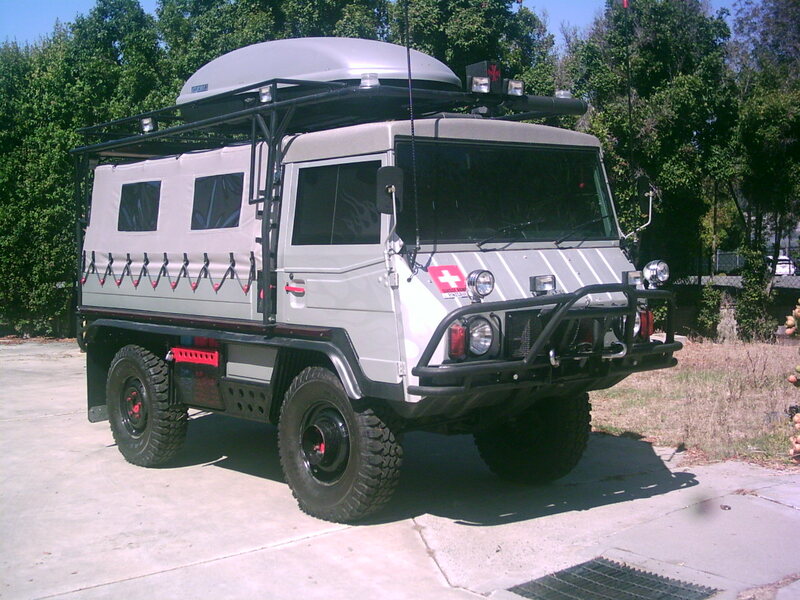 Both the engine and the 24-volt electrical system are fully waterproofed for fording.